As a result of this move, the last RJ flight to Ataturk Airport will take place on April 4, 2019, and flights between April 5 and 6, will be operated at Sabiha Airport in the Asian side of Istanbul. Passengers departing from Istanbul are requested to arrive three hours prior to departure time. The new airport will offer passengers new advantages, including free 1-hour Wi-Fi service inside the terminal, faster passport control processing, faster baggage delivery, buggy service for all needing passengers, from dedicated service points for a small fee. RJ’s business class passengers will be using new business lounge, which is more spacious, entertaining and has a much higher level of services and luxury, in addition to having the possibility to access fast-track lanes upon arrival and departure. 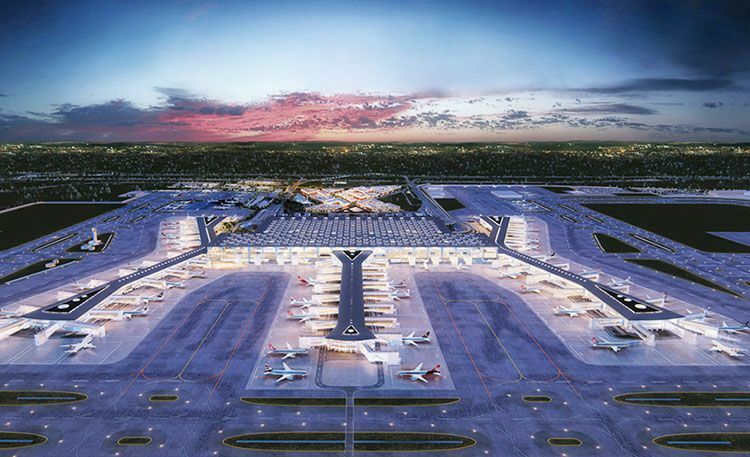 The new airport, located north of Istanbul, has the potential to welcome 90 million passengers annually. Following the second phase of construction, expected to be completed in 2023, this number will reach around 200 million. Flights to around 350 destinations worldwide will be operated from the new airport, which makes it one of the biggest aviation centers in the world. RJ operates 14 flights weekly to Istanbul and has 16 weekly codes-share flights on board Turkish Airlines.